Wow… That’s six pages of the rule book – close to 2,500 words – to address fighting… three times more space than any other subject. Just think of the trees that would be saved if the rule was reduced to two words – NO FIGHTING. I used to be a tremendous hockey fan. I watched it, played it, lived and breathed it. I remember fondly the glory years of my Philadelphia Flyers in the early seventies, and I still revere those players and teams. I went to as many games as I could, and even went in on season tickets with some friends for a few years. If my 54 year old knees could take the motion, I would love to lace up the skates just one more time. The sport of hockey is one of the best in the world, and the speed and talent of the players right now is the best it’s ever been. Last Saturday night, the Flyers were locked in a classic back and forth struggle with the Islanders. I was glad to be watching a great contest, marred only by a few fights that benefitted neither team and played no part in the outcome of the game. Later that night I was treated to video “highlights” of a game in Vancouver, where every player on the ice began to fight as soon as the puck was dropped to start the game. It was a sickening display, with players and coaches showing the complete lack of respect they have for the game and the fans – and each other. The event proved once again why hockey will continue to be a minor sport in the landscape. I’ve had many conversations on this topic and have listened to all of the arguments, like “fighting exists to police the game.” The off-kilter logic is that if you take fighting out the frequency of cheap shots levelled against skilled players will increase. College hockey is the perfect argument against this belief… it’s a great product with hard, clean hitting. Like other contact sports it can get a little chippy, but there is no evidence to support the increase in cheap shots because the players can’t fight. All major sports in the world are looking at reducing injuries, especially to the head. 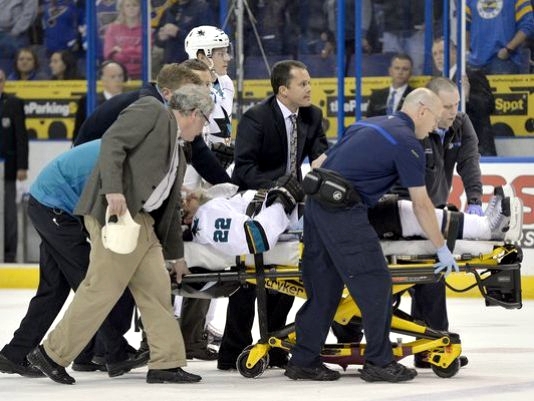 Concussions are a big conversation in every league, including the NHL. Hockey helmets are better and safer, and mouth guards are specifically designed to help reduce concussions. Does it make sense that after all of these safeguards, players are allowed to punch each other in the head? Maybe an NFL type lawsuit or two will get someone to think about a connection between fighting and head injuries. 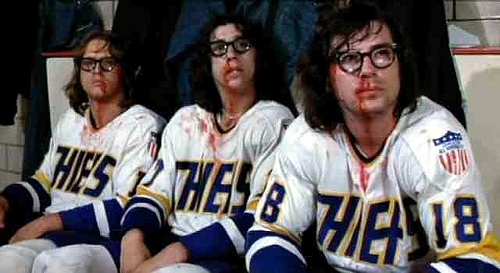 If the NHL bans fighting, it will still exist just like in other sports. Maybe more in hockey. But the game will be better. I think that it’s only a matter of time before that happens, and I hope it isn’t because of a major injury. Some people say they like the games because of the fights. I’ll submit that those same people will still love the game without the fighting. They’ll probably love it even more.